This is just a fun little meme that Blodeuedd and I are going to try and do once a month. Give a little shout-out and "badge" of honor to our favorite book of the month! 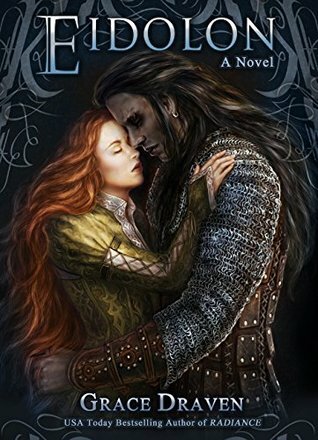 For January, I have decided to give the trophy to.........Eidolon by Grace Draven. "I picked this as the book of the month because I could hardly put this down. I enjoyed the first of the series, but this was even better. There was so much going on. So much drama and it really made me feel and think. This is an interesting world and interesting character. I can't wait for more. That is why I picked this for book of the month." Now, Blodeuedd picked..........................Nothing to Envy by Barbara Demick. "I cannot say I had a best book for January. They were all kind of the same. Good, but nothing that was totally amazing. 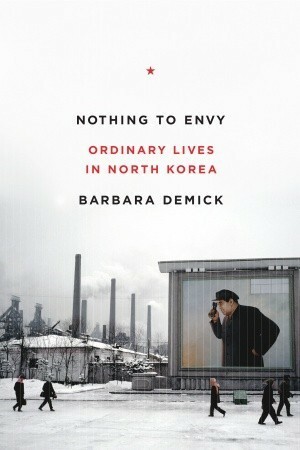 Instead, I will go for the most interesting book, which of course was Nothing to Envy by Barbara Demick. It had me thinking, and it sure made me NOT want to live in North Korea. So that is my pick for January."